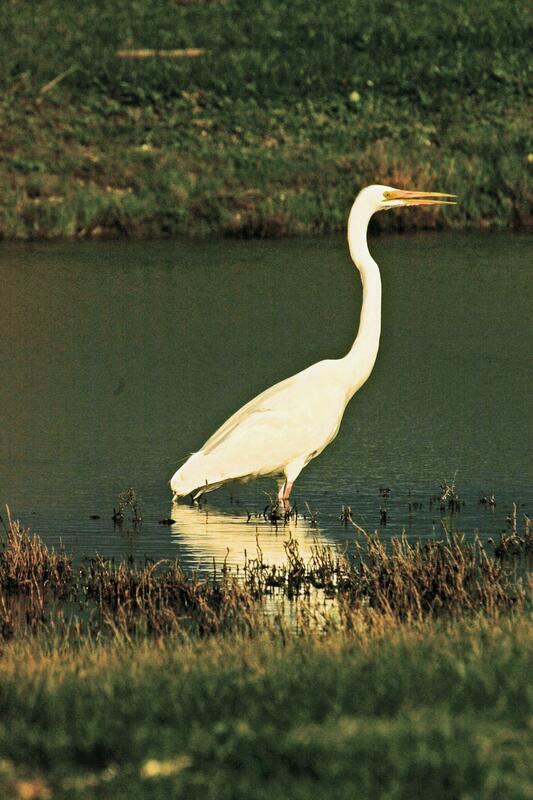 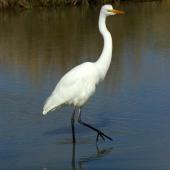 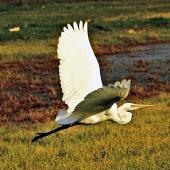 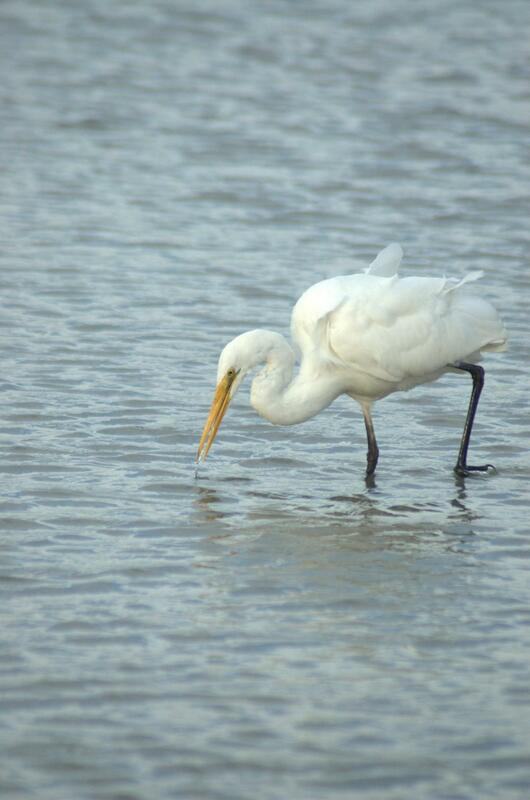 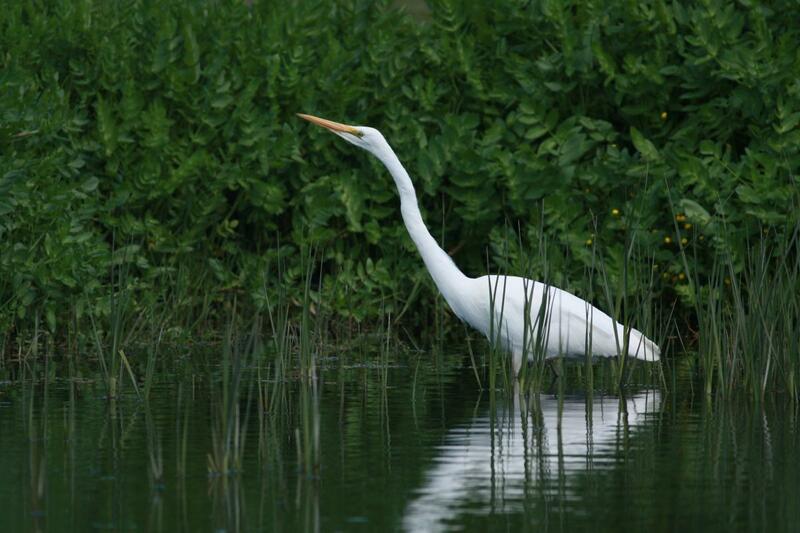 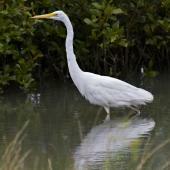 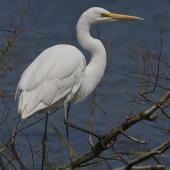 A large white heron with a long yellow bill, long dark legs and a very long neck. 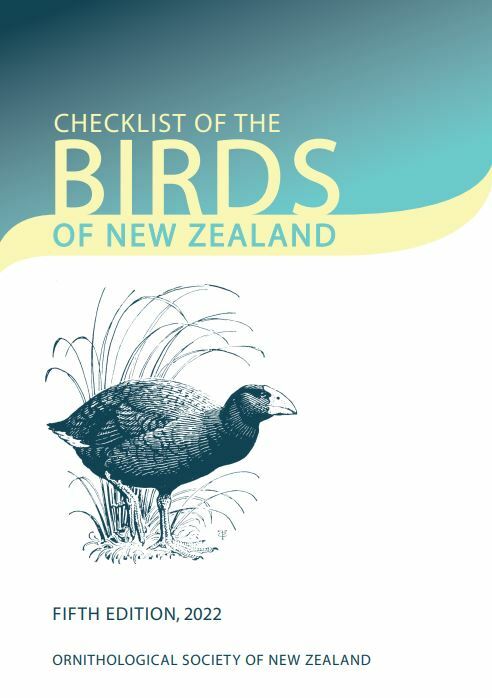 When breeding, the bill becomes grey-black and long filamentous plumes develop, mainly on the back. 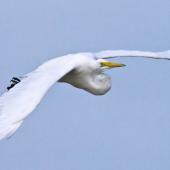 In flight, the white heron tucks its head back into its shoulders so that the length of its neck is hidden, giving it a hunched appearance. 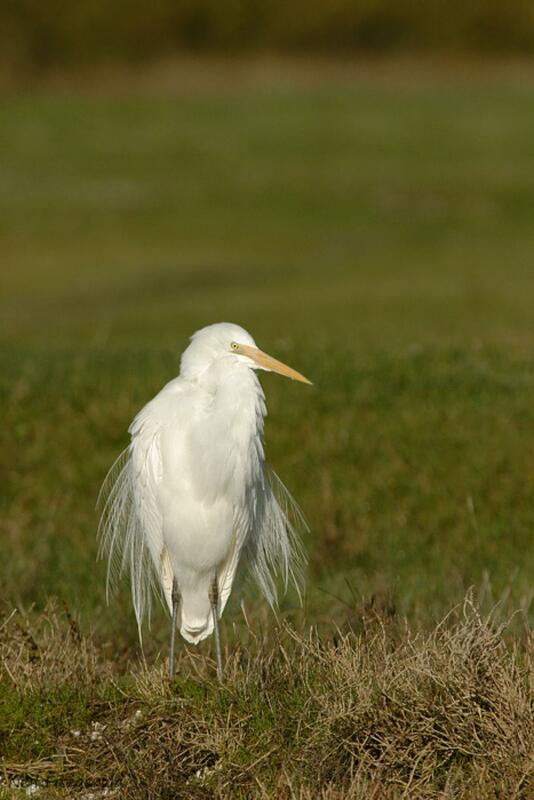 When walking, the white heron has an elegant upright stance showing the extreme length of its neck. 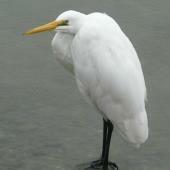 When resting it is more hunched with its head tucked in, making the bird appear more bulky. 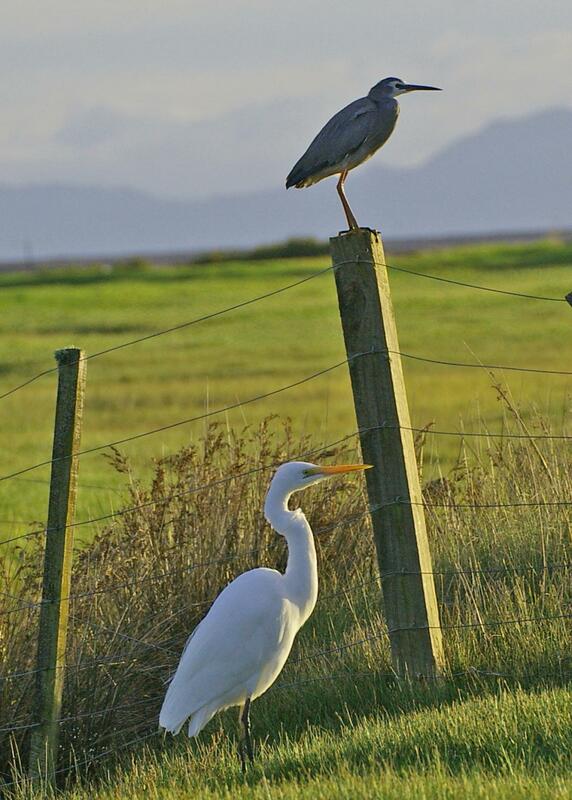 Important identification characters when separating white herons from other white egret species in New Zealand include overall size, relative neck length, bill colour and shape, and how far the gape (i.e. 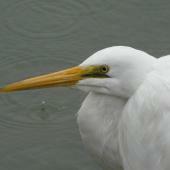 the corner of the mouth) extends back in relation to the eye. 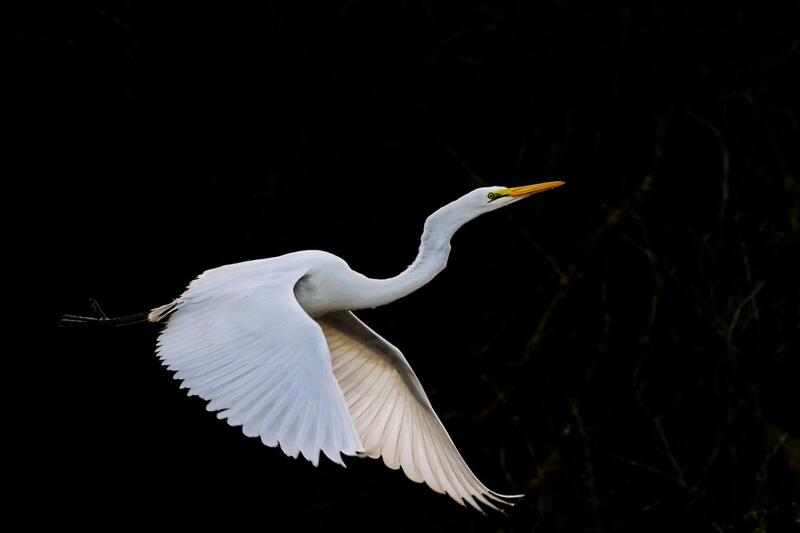 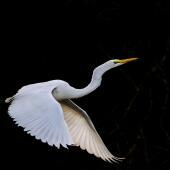 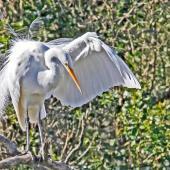 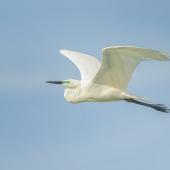 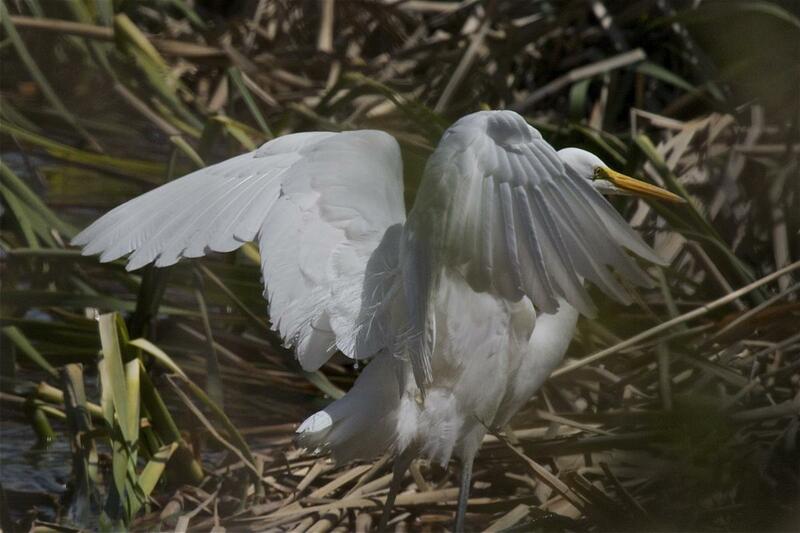 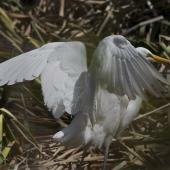 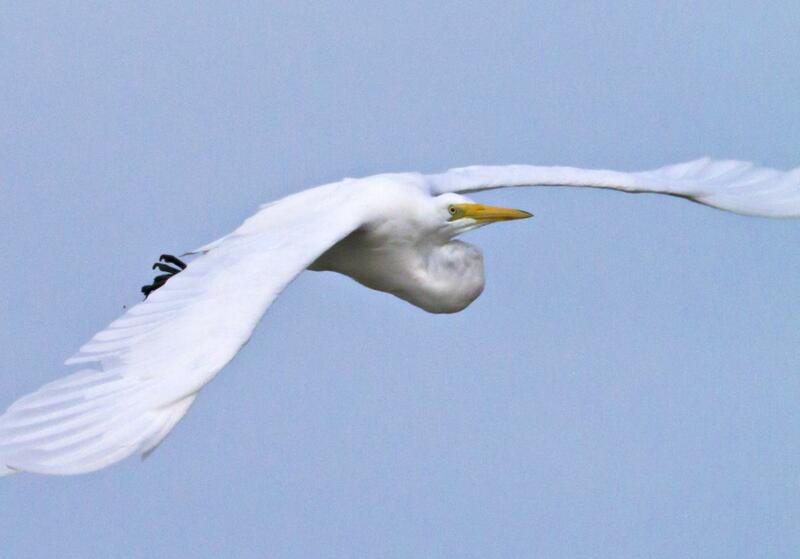 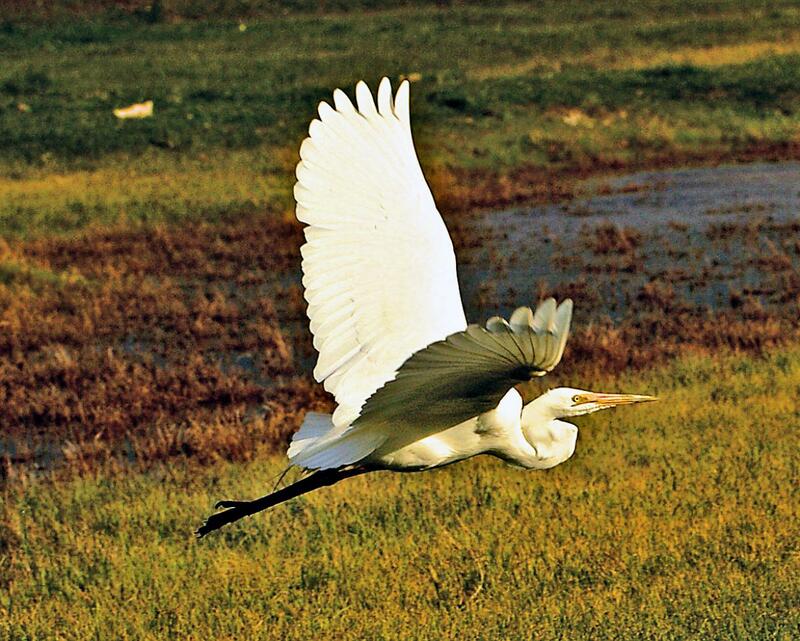 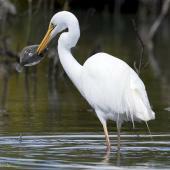 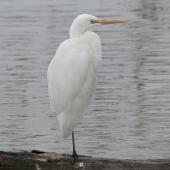 The white heron is the largest, longest-necked of the egrets, and the gape extends well behind the eye. 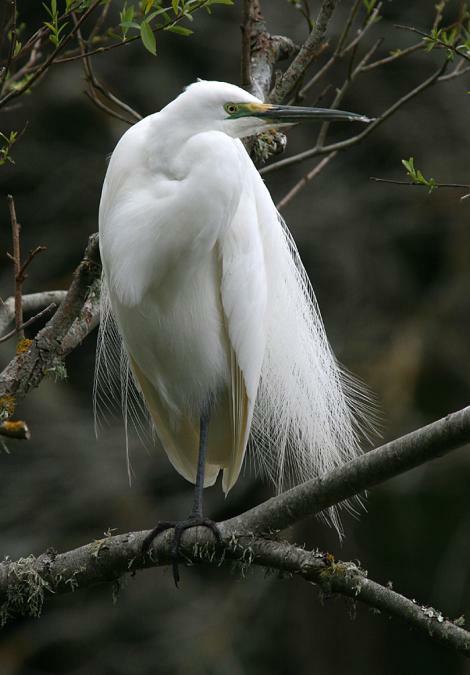 Similar species: the most similar species in New Zealand is the plumed egret, a vagrant species which is smaller (the size of a white-faced heron), has a shorter neck, never has a dark bill (cf. 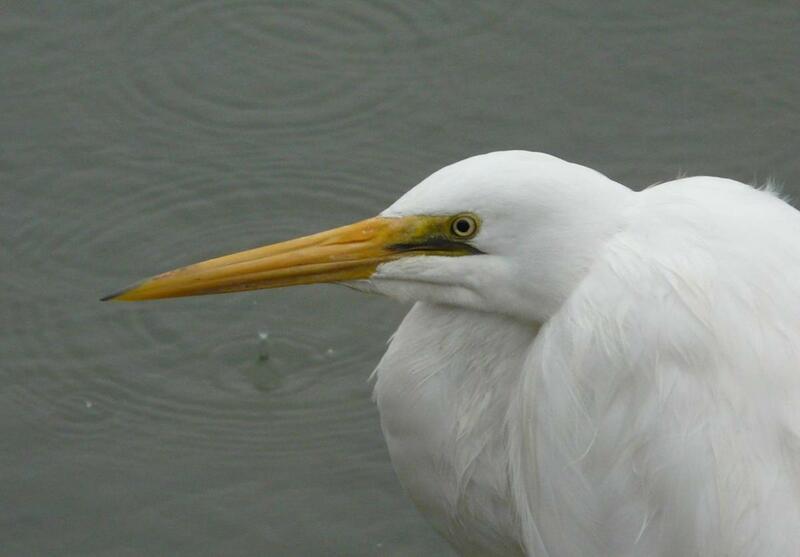 breeding white heron), and the gape extends to level with the eye, but not beyond. 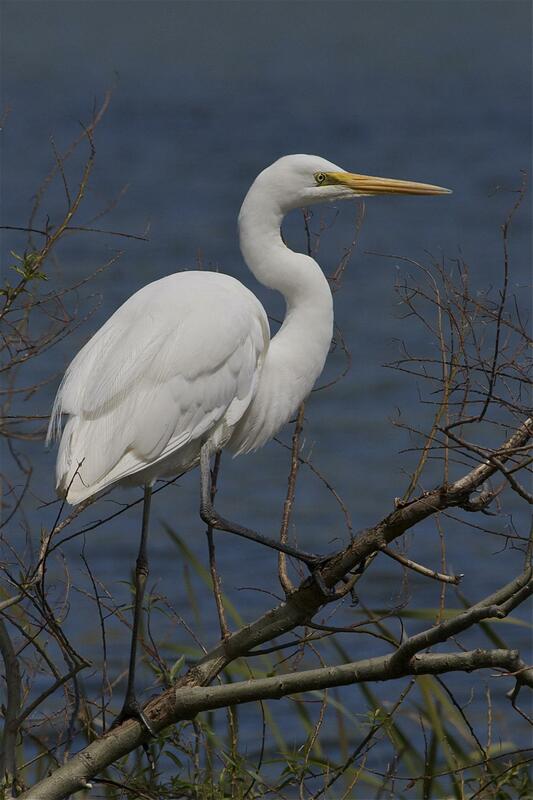 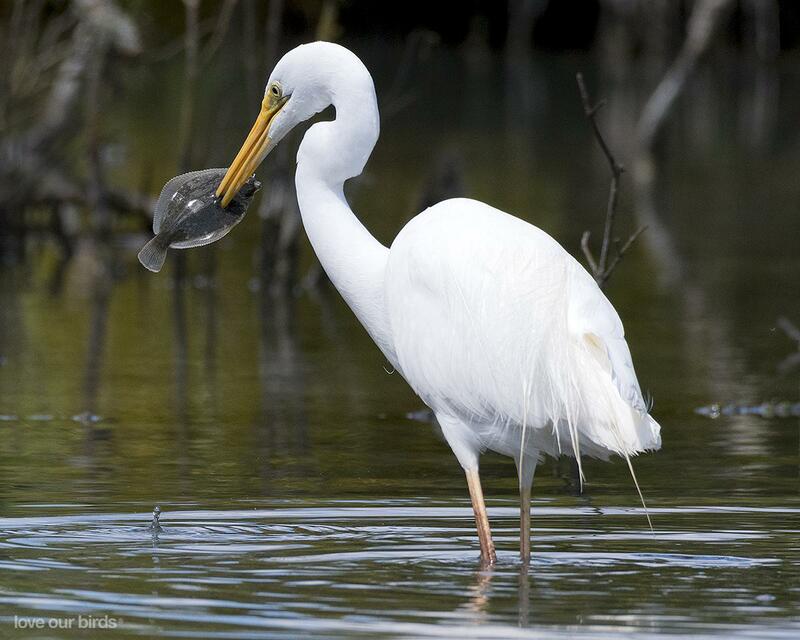 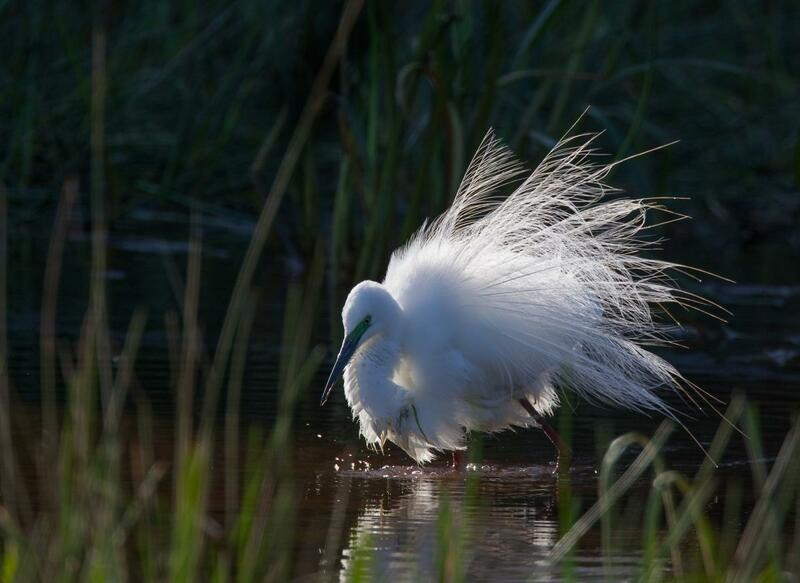 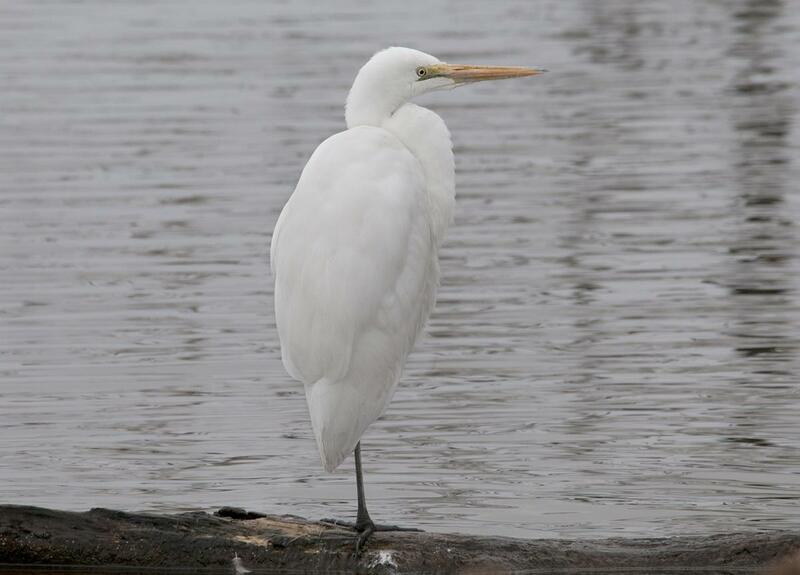 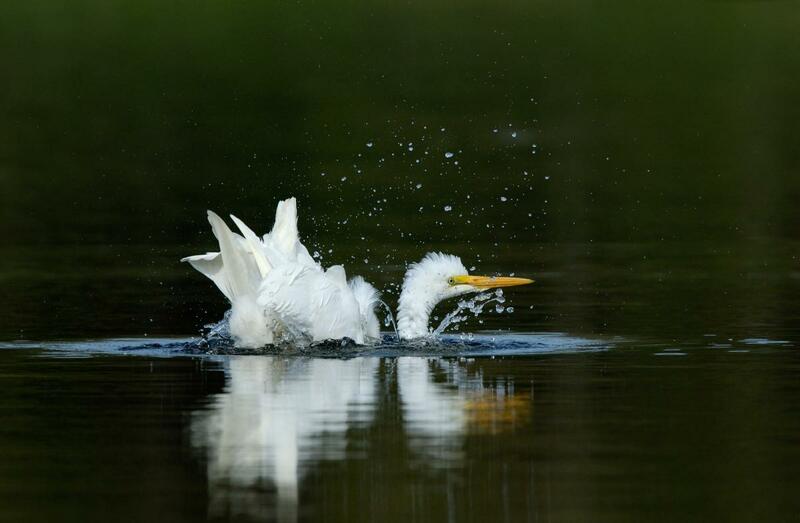 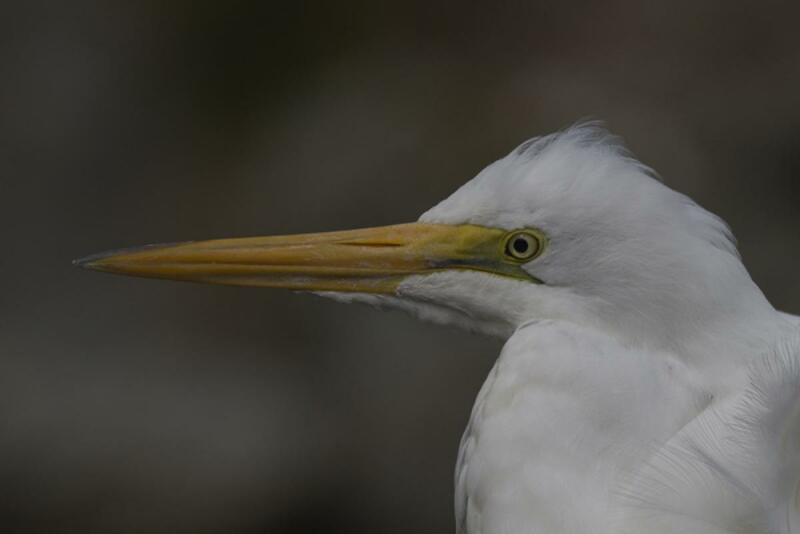 Plumed egrets show a strong preference for freshwater wetlands, and so rarely occur in estuaries, whereas white herons are equally at home in both freshwater and brackish habitats. 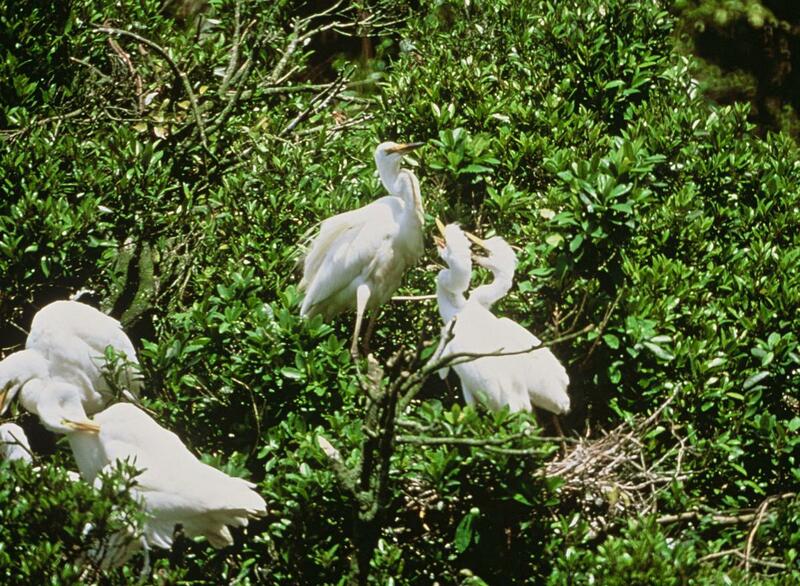 The royal spoonbill is nearly as large as the white heron but, as its name suggests, it has a very large spoon-shaped (black) bill. 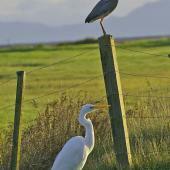 This makes it easy to distinguish between the two species. 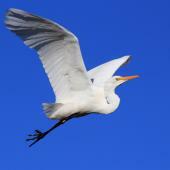 Non-breeding cattle egrets have similar colouration but are a third the size of a white heron, with a much shorter neck. 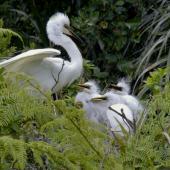 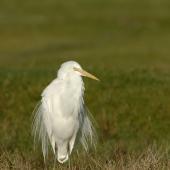 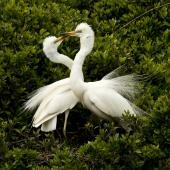 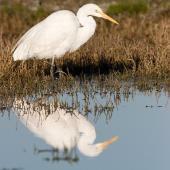 Cattle egrets are often seen as flocks in pasture, but beware of lone birds in estuarine habitat or wetland. 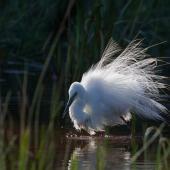 The little egret is much smaller, with a rapier-thin black bill. 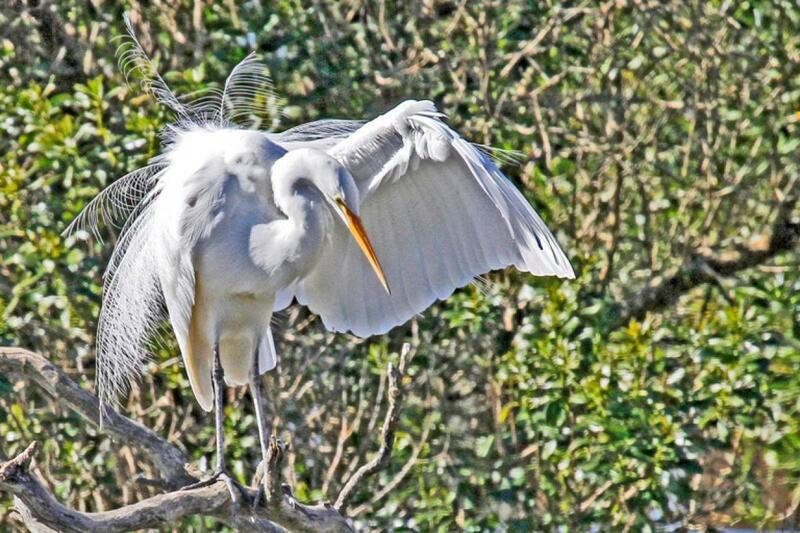 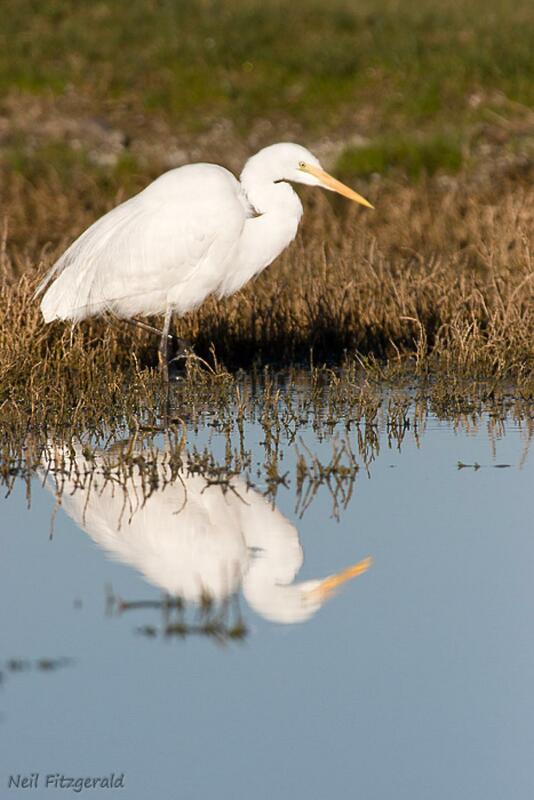 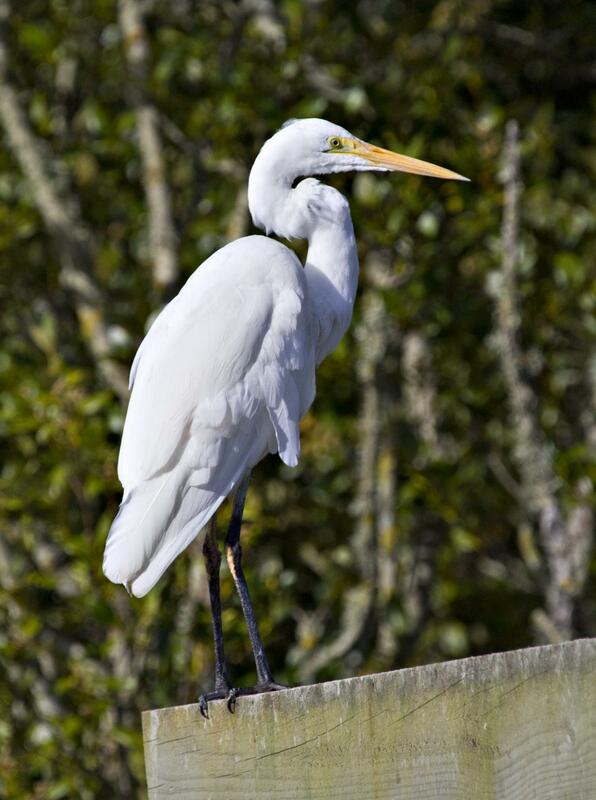 White herons are most often seen in harbours and estuaries, but they also visit freshwater wetlands, including high country lakes, and are vagrant to several outlying island groups (Chatham, Snares, Auckland, Campbell and Macquarie Islands). 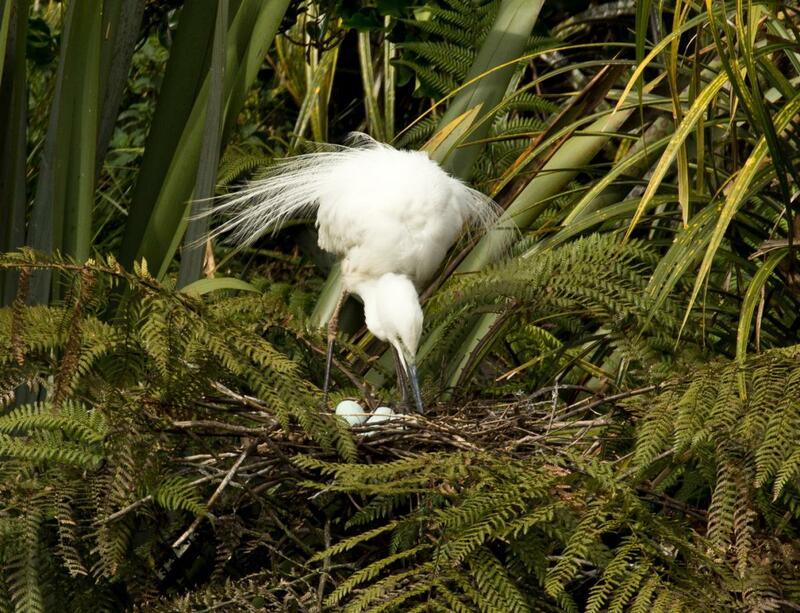 The only New Zealand breeding colony is on the Waitangiroto River, just north of Okarito Lagoon, Westland. About 30 pairs of white herons breed here, mainly in the crowns of tree ferns overhanging the river, under tall kahikatea forest. A viewing hide at the site can be visited during the breeding season via a jetboat ride and a short walk, with access managed by an ecotourism operator licensed by the Department of Conservation. 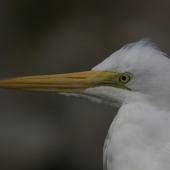 White herons are widespread and abundant throughout Asia and Australia, where they are generally known as eastern great egrets. 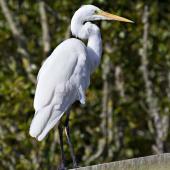 The New Zealand population is small (150-200 birds) but apparently stable. 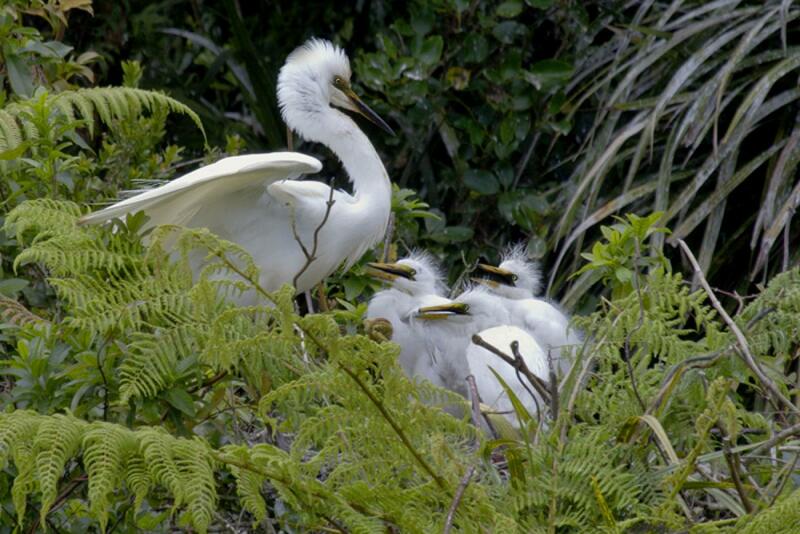 The Okarito heronry has occupied essentially the same site since before its location was revealed by a surveyor in 1865. 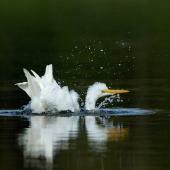 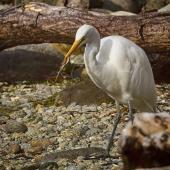 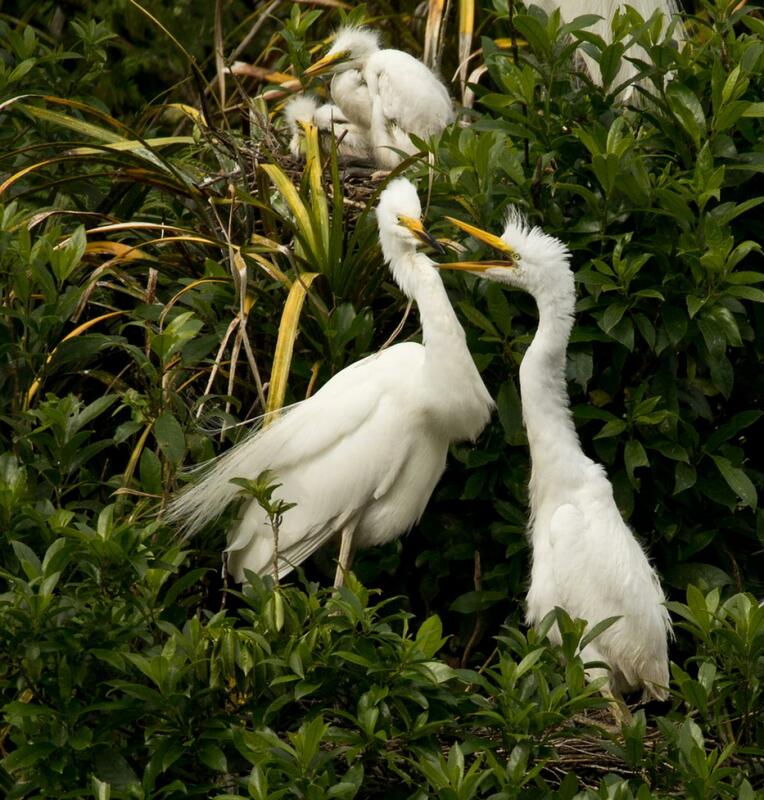 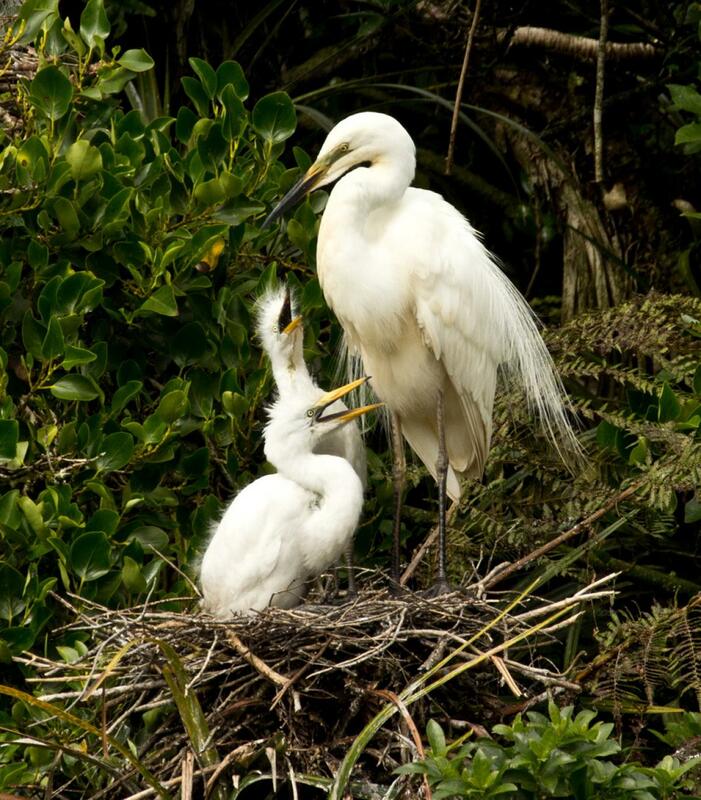 White herons have never been recorded attempting to breed anywhere else in New Zealand. 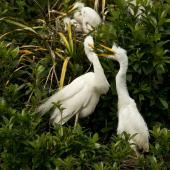 Despite the risks of the entire population breeding at a single location, the colony has thrived throughout. 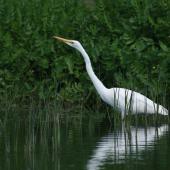 It is well protected legally (as a nature reserve) and by predator trapping and carefully controlled visitation. 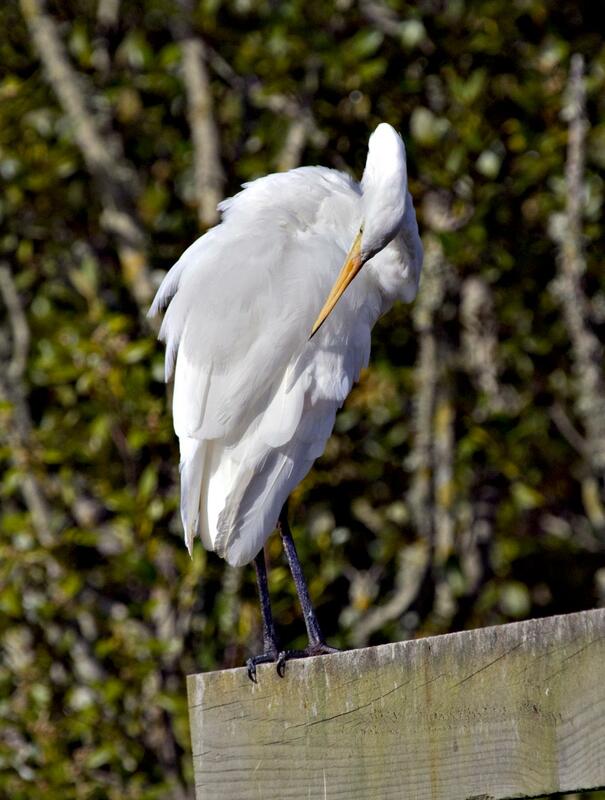 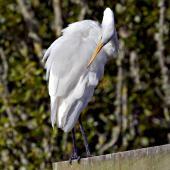 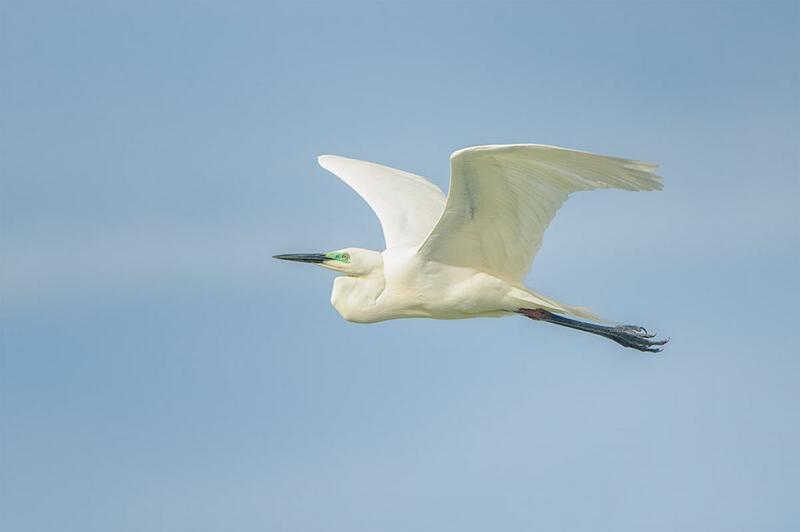 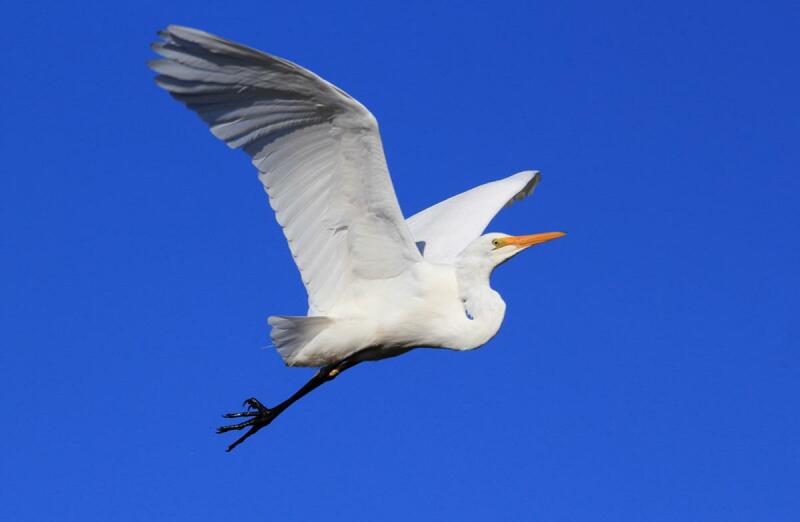 The most common cause of white heron mortality in New Zealand is birds being hit by cars, as many roads pass close to coastal wetlands, and white herons fly low and slow when first getting airborne. 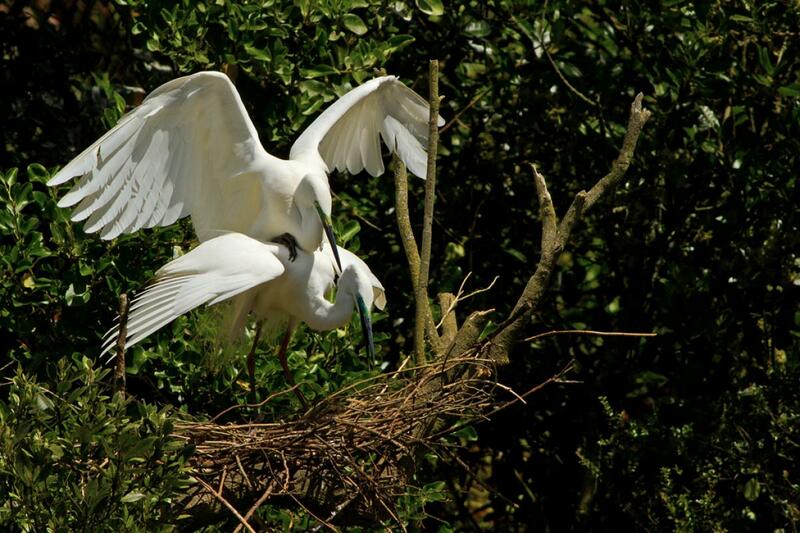 Birds arrive at the breeding colony in August. 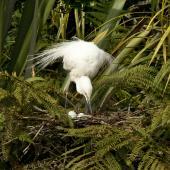 Nests are built in trees and tree ferns up to 15 m high. 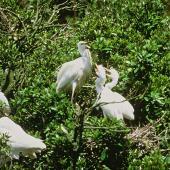 Adjacent taller trees are used by royal spoonbills. 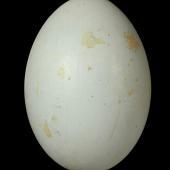 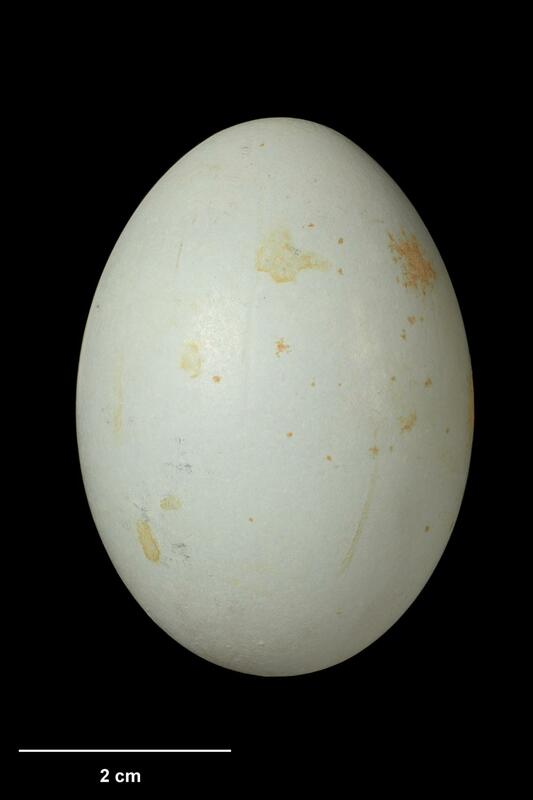 The 3-5 eggs are laid in September-October and are incubated by both parents. 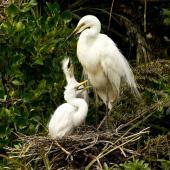 Nestlings are fed by partial regurgitation by both parents. 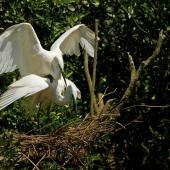 Leaving the nest begins with short flights, followed by final departure about 64 days after hatching. 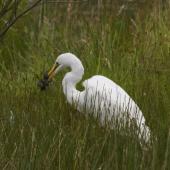 Males occupying a nest site will defend it against intruders. 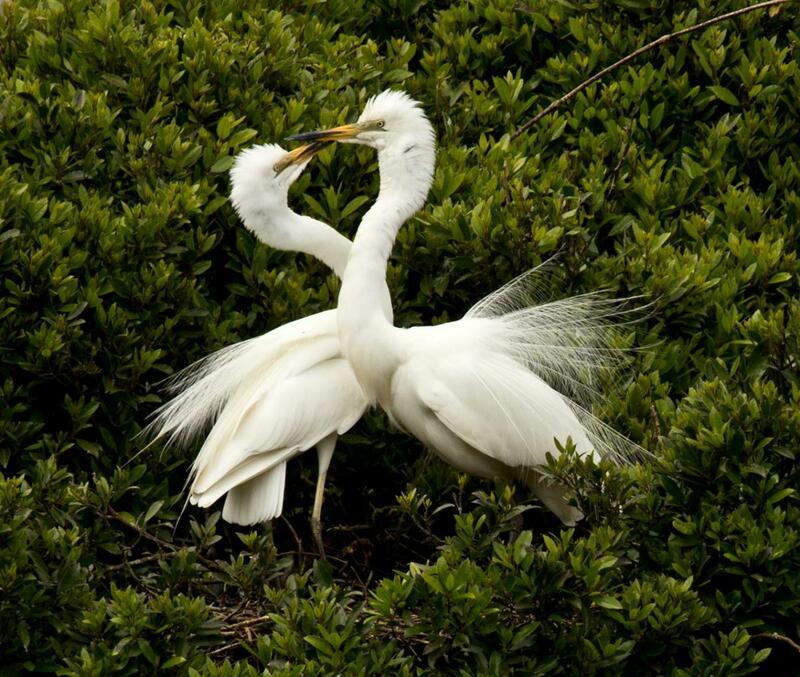 Courtship displays include shaking twigs gathered from near the nest, preening displays and fanning of the nuptial plumes. 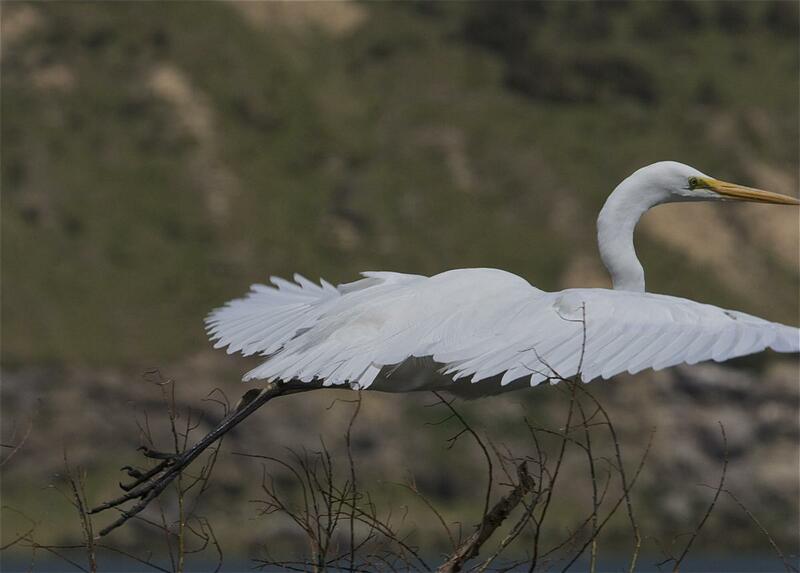 The breeding season at Okarito Lagoon coincides with the whitebait run, and these fish are the primary food during nesting. 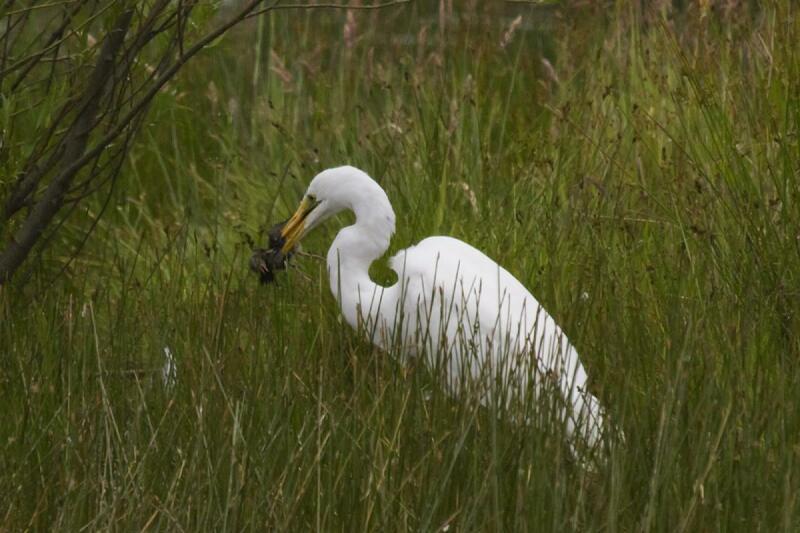 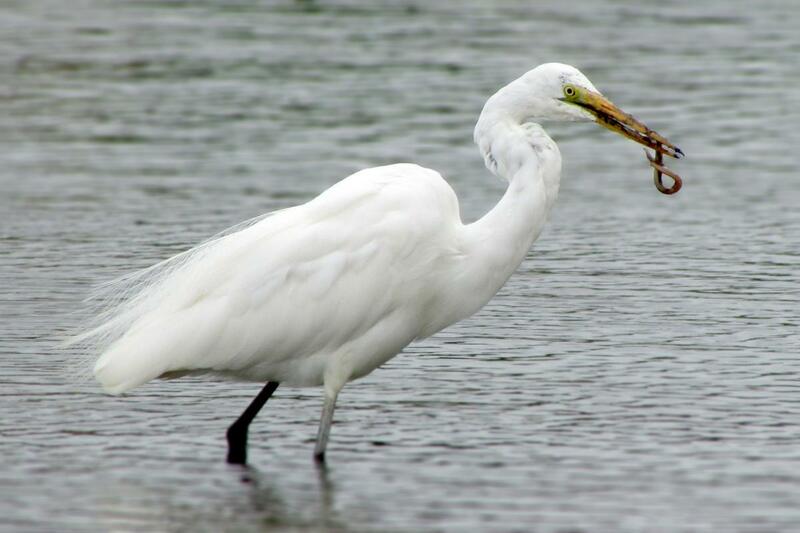 At other locations their diet includes small fish, frogs, skinks, invertebrates and even small birds, which can be caught if they fly too close to a foraging heron. 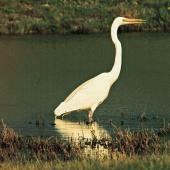 Hunting is usually in daylight, with the bird waiting motionlessly for prey to pass, or walking slowly. 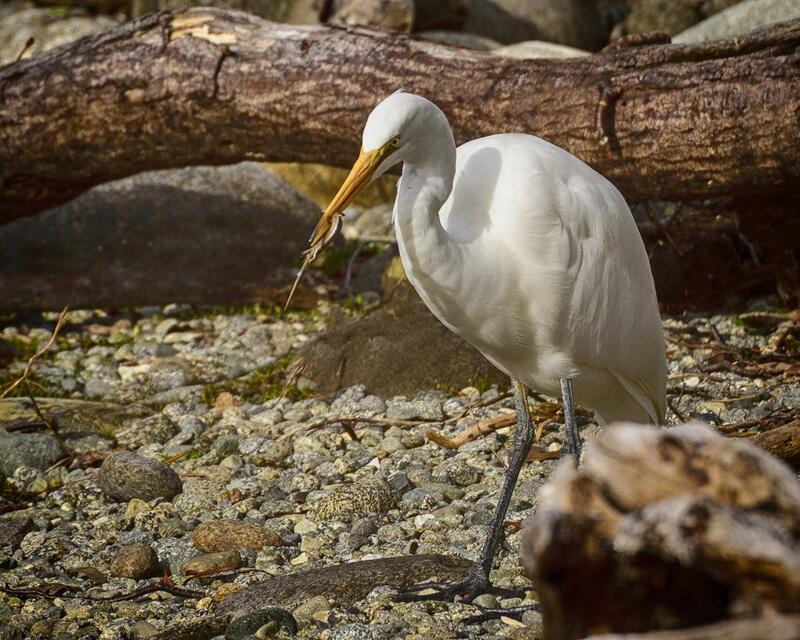 White herons will sometimes steal fish from other birds such as shags. 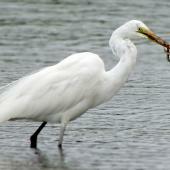 They usually feed alone, even when several birds are present at the same site. 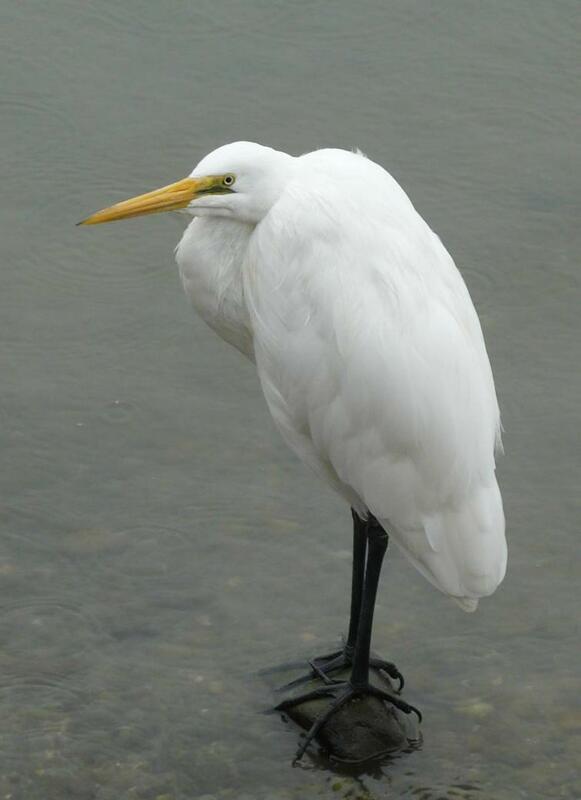 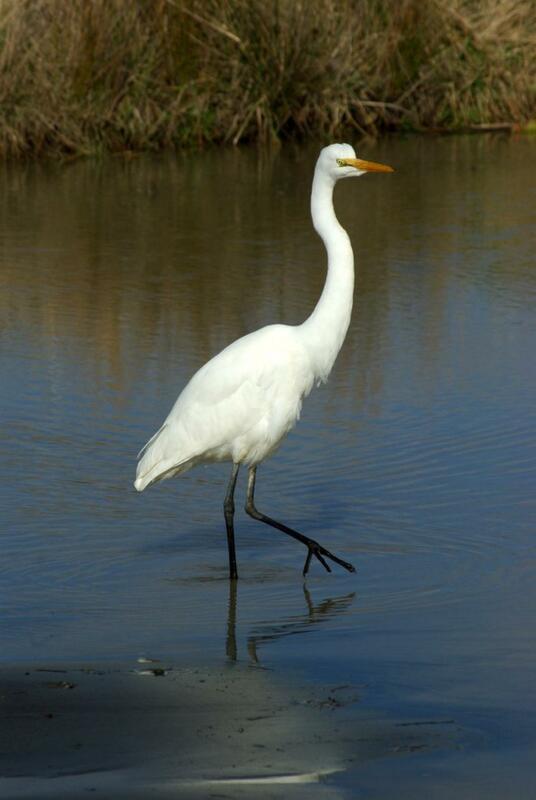 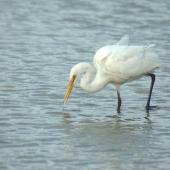 A large white heron with a long pointed yellow bill, a gape that extends well behind the eye, long dark legs, and a very long neck. 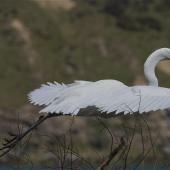 In flight, it retracts its head so that the length of its neck is hidden, giving it a hunched appearance.